NUGGETS-HALLUCINATIONS: PSYCHEDELIC POP NUGGETS FROM THE WEA VAULTS. For many record collectors, Record Store Day is regarded as one of the most important days in the record collecting year. There’s a sense of anticipation about the day from weeks in advance. This begins the moment the list of Record Store Day releases is published. Record collectors pore over the list, and begin to draw up a wish list of their wants. That list is fluid, and will change over the days and weeks leading up to Record Store Day. However, once the wish list is finalised, the planning begins for Record Store Day. Military precision describes the record collector’s approach to Record Store Day. They realise that there’s no point rolling up at midday. By then, the best stuff will be long gone. Instead, an early start is required. Most record collectors head to bed early on the night before Record Store Day. They’re tucked up early, with a copy of the Record Collector’s Guide for company. For them, it’s like Christmas all over again. There’s a sense of excitement, with record collectors scared they’ll oversleep. That can’t happen. So two alarms are set for 3am. After all, they want to be in the queue at 4am or 5am. This gives them every chance of getting everything on their list. Having managed not to sleep through the two alarms, the record collectors dawns his several layers of clothing and fills a thermos flask. They even take a selection of snacks to keep their energy levels up. Record Store Day is a marathon not a sprint. After making their way to their favourite record shop, the record collector joins the queue. There’s a few familiar faces who are swapping war stores of Record Store Day past. While there’s a sense of bonhomie at 6am, deep down everyone knows that when the doors open at 9am, it’s every man or woman for themselves. The rules of Record Store Day are there are no rules. And so it proves to be. Having watched the lights being switched on and the staff prepare to open the doors to this musical nirvana, everyone tenses. It’s like the 100 metres final in the Olympics. A false start could prove fatal. However, when the doors open, the record collector is quick out the blocks and races towards the racks with the theme to Chariots Of Fire playing in his head. As he arrives at the promised land, the Record Store Day releases await. Furiously, the record collector flicks through the racks, checking his list. It’s a lengthy list, and much of it is in stock. There’s other things that weren’t on the list, but tantalise. So they’re added to the pile. By now, he’s struggling to carry this weighty pile of vinyl. However, there’s no way he’s leaving his place to take them to the counter. Not until he’s double and triple checked that there’s nothing that’s been missed. Having double and triple checked, incredibly, nothing has been missed. For the first time ever, he’s managed to find everything he wanted, and a bit more. As he strides to the till to pay, he feels ten feet tall. Record Store Day 2016 has been a good year. Especially when he hears there’s some stuff being released on the 23rd April. Until then, he’s a pile of new music to enjoy, including Nuggets Hallucinations: Psychedelic Pop Nuggets From The WEA Vaults. It’s a double album released on heavyweight purple marble vinyl by Rhino. The release of Nuggets Hallucinations: Psychedelic Pop Nuggets From The WEA Vaults is a welcome reminder of Rhino’s much loved Nuggets compilation series. This series began in 1984 when Nuggets, Volume 1: The Hits was released. Little did anyone know that the Nuggets series would last twenty-five years, and include fifteen LP, five box sets and two CD compilations. Like all good things, the Nuggets series had to come to an end. The final chapter in the story was Where the Action Is! Los Angeles Nuggets: 1965–1968, which was released in 2009. Since then, it’s been all quiet on the Nuggets’ front. With seven years passing since the release of Where the Action Is! Los Angeles Nuggets: 1965–1968, it seemed unlikely that there would another instalment in the series. That was until the list of Record Store Day 2016 releases was announced. That’s when eagle-eyed spotted the release of Nuggets Hallucinations: Psychedelic Pop Nuggets From The WEA Vaults, a double album featuring twenty-four tracks from familiar faces and new names alike. So whose one Nuggets Hallucinations: Psychedelic Pop Nuggets From The WEA Vaults? There’s contributions from The Misty Wizards, The Last Exit, Adrian Pride, The Association, The Salt, Kim Fowley, The Tokens and Lee Mallory. That’s not forgetting The Glass Family, The Holy Mackerel and The West Coast Pop Art Experimental Band. Quite simply, Nuggets Hallucinations: Psychedelic Pop Nuggets From The WEA Vaults is a veritable psychedelic feast. Having opened the shrink wrap, and taken the first slab of 180 gram purple marble vinyl out its sleeve, Nuggets Hallucinations: Psychedelic Pop Nuggets From The WEA Vaults looks great. Looks however, can be deceiving. The proof of the pudding is in the eating. Opening side one of Nuggets Hallucinations: Psychedelic Pop Nuggets From The WEA Vaults is Baker Knight and The Knightmares’ 1967 single Hallucinations. It was penned by Baker Knight, and produced by Jimmy Bowen. Hallucinations was then released on Reprise in February 1967. It’s the perfect way to open the compilation. Elements of garage rock, psychedelia and sunshine pop combine on a song that’s not just lysergic but melodic. 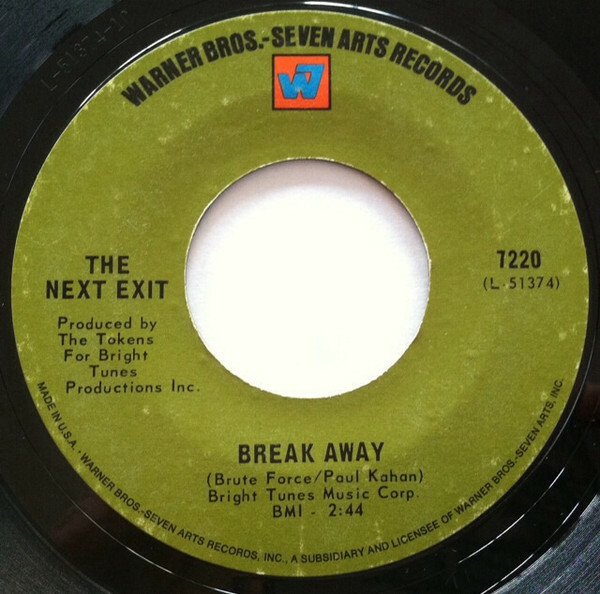 The Next Exit only ever released the only single, I’m The Only. It was produced by The Tokens, and released in August 1968 by Warner Bros. Sadly, the single disappeared without trace. Hidden away on the B-Side was Breakaway. It’s a track that epitomises the psychedelia, with elements of garage rock, pop and psychedelia combining to create a dreamy trippy track. In the late sixties, Joel Kaplan, Dave Meyer, Bob Redding, Joe Odom and Delroy Bridgeman formed The World Column. Their sophomore single So Is The Sun ‘inspired’ The Jam’s Trans-Global Express. Some of The World Column’s singles are also extremely popular within the Northern Soul community. However, the single that started The World Column’s career was Midnite Thoughts. 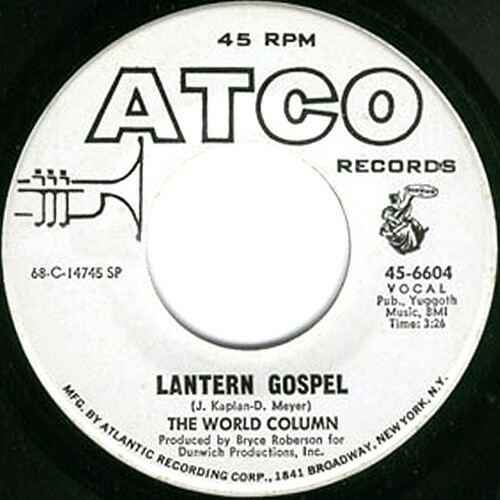 It was released in July 1968, on Atco, On the flip-side was Lantern Gospel a Joel Kaplan and Dave Meyer composition. It’s The World Column’s most psychedelic sounding track. With a Hammond organ to the fore, a slow, moody and ruminative sounding track unfolds. Quite simply, it epitomises the psychedelic sound of the summer of 1968, and is one of the highlights of Nuggets Hallucinations: Psychedelic Pop Nuggets From The WEA Vaults. John Wonderling’s recording career was sadly, all too brief. It began in 1968, and was over by 1973. During that period, he released just a trio of singles an album. His debut single was Midway Down, which he cowrote, arranged and produced. It was released by Warner Bros, in 1968. Hidden away on the flip-side was Man Of Straw, which falls into the category of hidden gem. Man Of Straw features a heartfelt vocal from John, while arrangement is a fusion of pop, folk rock and baroque. It’s a potent mix on a track where drama and beauty combine. Given the quality of Man Of Straw, one can only wonder why he didn’t enjoy a longer and more successful recording career? Jeff Thomas is another artist whose career was all to brief. Between 1966 and 1970, he only released eight singles. This included Straight Aero, which was released in 1968 on Warner Bros.-Seven Arts Records. 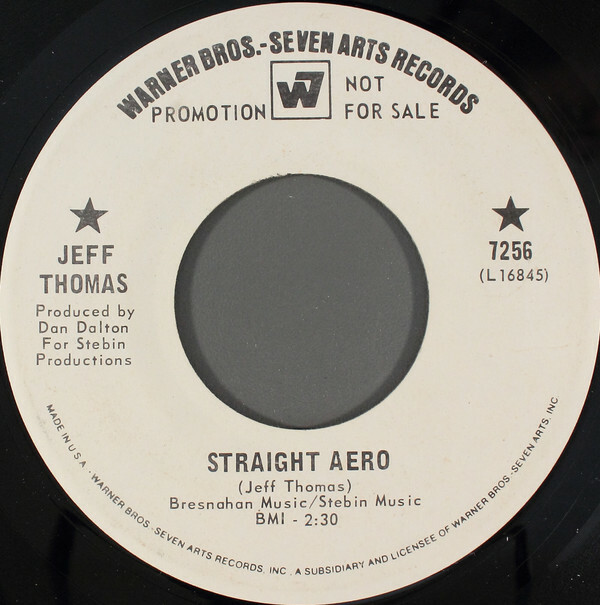 Straight Aero was penned by Jeff Thomas and produced by Dan Dalton. Sadly, when this slice of psychedelic rock was released, it passed record buyers by. That’s despite being catchy, melodic and memorable. 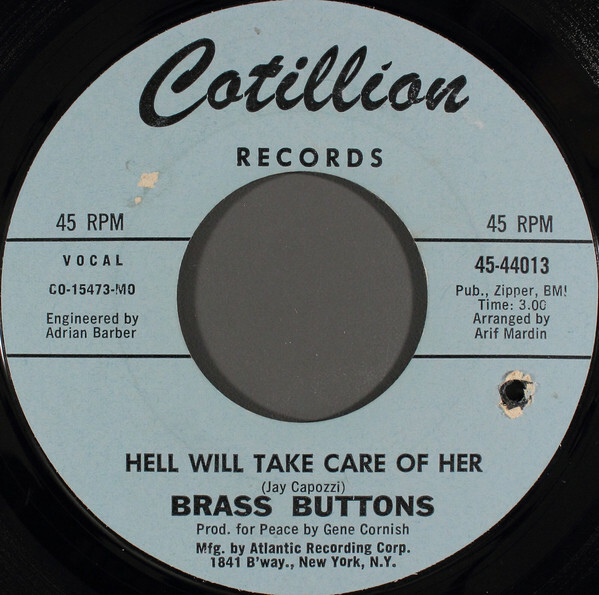 Brass Buttons open side three of Nuggets Hallucinations: Psychedelic Pop Nuggets From The WEA Vaults with Hell Will Take Care Of Her. This was the B-Side of their only single My Song. It was released on Cotillion in November 1968. Instantly, the listener is transported back to 1968. As the song unfolds, here’s more than a nod to The Beatles on this glorious slice of psychedelic sunshine pop. By the end of track one can’t help but wonder why Brass Buttons didn’t enjoy a longer and more successful career? Kim Fowley needs no introduction to most music fans. He was a prolific singer, songwriter and producer. Later, Kim Fowley owned his own publishing company. 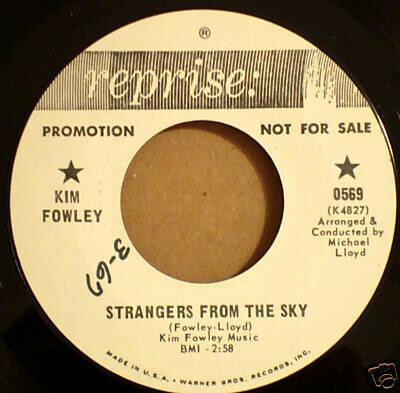 However, back in March 1967, Kim Fowley was signed to Reprise, and about to release Strangers From The Sky as a single. It was a song that he wrote and produced. It’s been inspired by sci-fi and the space race, as Kim Fowley takes the listener on a trip. What follows is a futuristic slice of stomping, psychedelic garage rock. This is a welcome reminder of a musical pioneer, who sadly passed away in 2015. 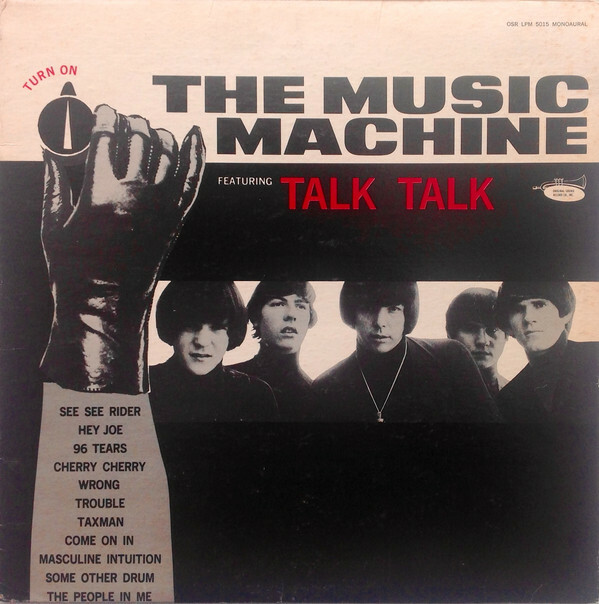 In 1966, The Bonniwell Music Machine released their debut album (Turn On) The Music Machine on Warner Bros. A year later, they released Bottom Of The Soul as a single. On the B-Side was Astrologically Incompatible. Both sides were penned by the band and produced by Brian Ross and featured on. When the single was released on Warner Bros. in November 1967, it failed commercially. By then, original lineup of The Bonniwell Music Machine was fragmenting. Although the group continued with a new lineup, they broke up in 1969. Their legacy was two albums and a string on singles. That’s note forgetting B-Sides like Astrologically Incompatible, with its fusion of garage rock and psychedelia. It’s a reminder of an innovative group, whose proto=punk sound would influence future generations of musicians. Lee Mallory opens side four of Nuggets Hallucinations: Psychedelic Pop Nuggets From The WEA Vaults with That’s The Way It’s Got To Be. 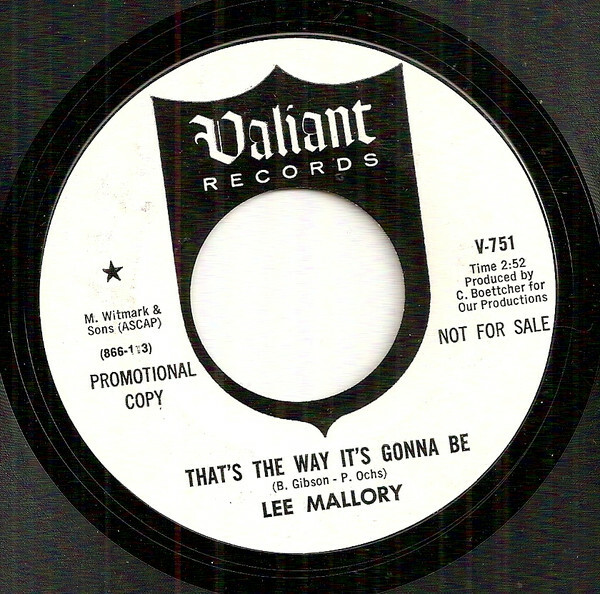 It was Lee’s debut single, which was released on the Valliant label in September 1966. Poppy, soulful and melodic describes this timeless track which rumour has it, features the Mamas and Pappas on backing vocals. The Holy Mackerel are another band whose recording career was all too brief. 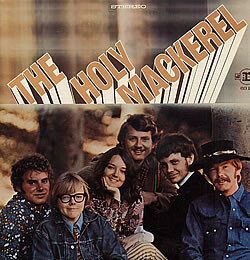 They released their debut single Love For Everyone on Reprise in April 1968, and by 1969 The Holy Mackerel’s career was over. Their discography consists of just three singles and their 1968 eponymous debut album. One of its highlights was Wildflowers, a slice of psychedelic pop with an Eastern twist. It epitomises everything that’s good about psychedelia, and is the perfect introduction to The Holy Mackerel, another oft-overlooked bands from the late-sixtes. My final choice from Nuggets Hallucinations: Psychedelic Pop Nuggets From The WEA Vaults, comes from one of the most underrated bands of the psychedelic era, The West Coast Pop Art Experimental Band. Their recording career lasted just three years. It began in 1966, and was all over by 1969. However, during this period The West Coast Pop Art Experimental Band released a string of genre-melting singles. 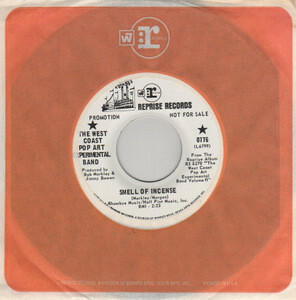 Their best known track is The Smell Of Incense, which was released on Reprise in October 1968. It’s a quite beautiful, laid-back and lysergic track that’s truly timeless. What better way to finish Nuggets Hallucinations: Psychedelic Pop Nuggets From The WEA Vaults? Very few people thought that the Rhino’s Nuggets’ series would ever return. Never had seven years passed without a new instalment in the series. Then when the list of Record Store Day 2016 releases were announced, way down the list was Nuggets Hallucinations: Psychedelic Pop Nuggets From The WEA Vaults. Rhino had decided to revive the Nuggets’ series. It began in 1984, and thirty-two years later is still going strong. Nuggets Hallucinations: Psychedelic Pop Nuggets From The WEA Vaults is a welcome addition to the series. It’s a reminder of a series that previously, included fifteen LPs, five box sets and two CD compilations. That number has risen by one, with the release of Nuggets Hallucinations: Psychedelic Pop Nuggets on 16th April 2016. Just like previous volumes in the Nuggets’ series, it’s a luxurious and lovingly curated compilation. As befitting such a prestigious series, black vinyl isn’t good enough. So Rhino have used 180 gram purple marble vinyl. As a result, Nuggets From The WEA Vaults looks great. It also sounds great. The music has been carefully mastered, and isn’t over loud. Instead, the music is clear with all the subtleties and nuances making their presence felt on the twenty-four tracks on Nuggets Hallucinations: Psychedelic Pop Nuggets From The WEA Vaults. It’s sure to bring memories come flooding back. For many people the Nuggets series was their introduction to psychedelia. It was akin to a musical education for newcomers to psychedelia. Hopefully, that will be case with a new generation of record buyers. Maybe after buying , Nuggets Hallucinations: Psychedelic Pop Nuggets From The WEA Vaults they’ll explore the rest of the Nuggets’ series? 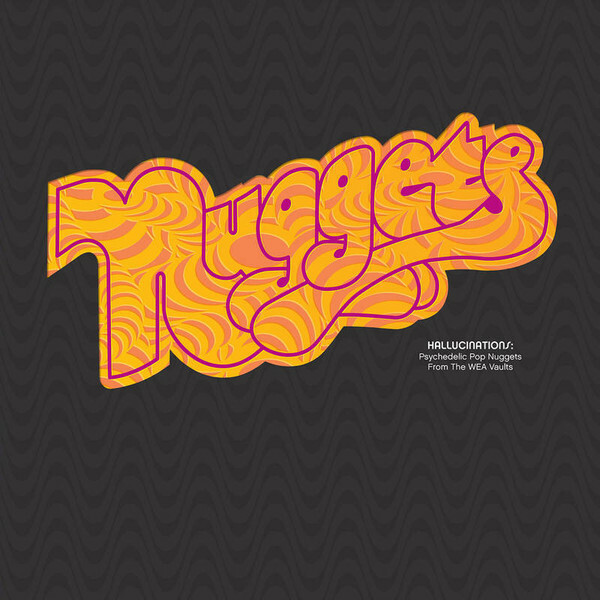 Meanwhile, veterans of the Nuggets’ series will enjoy taking a trip down memory lane on Nuggets Hallucinations: Psychedelic Pop Nuggets From The WEA Vaults. ← RED SQUARE-RARE AND LOST 70S RECORDINGS. Certainly didn’t see this one at my RSD store! Am I correct in remembering that Rhino released this as a CD a few years back. Disappeared to quickly for me to ever obtain a copy. Same’ll probably happen with this one! The 4CD Nuggets II is still a firm favourite in Vinyl Connection land, btw.